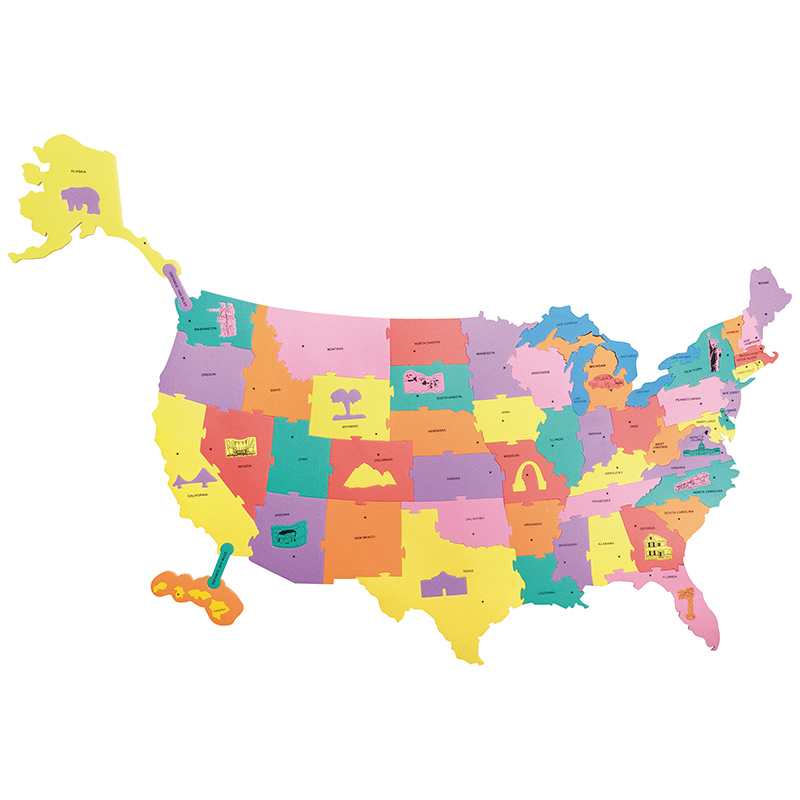 Our WonderFoam Giant USA photo puzzle map brings history to life! This beautiful map is chockfull of fun facts, and will pull your kids into history and geography like never before. Take a walk through the American revolution, enjoy the natural beauty of California, or discuss the Battle of Little Big Horn! From American history, to music and geography we cover it all. 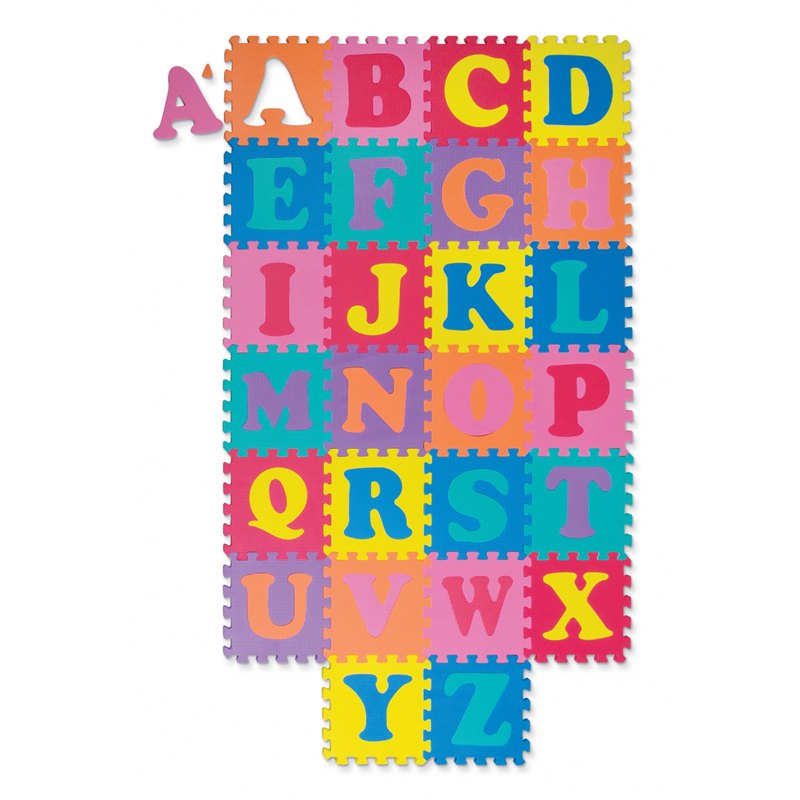 Fifty-seven total puzzle pieces with 50 state pieces (Connecticut and Rhode Island as 1 piece, Michigan in two sections), 5 Great Lakes and 2 interlocking playbars (to attach Alaska and Hawaii). Includes fun facts history and landmark study guide. Measures 4' x 2.5'. 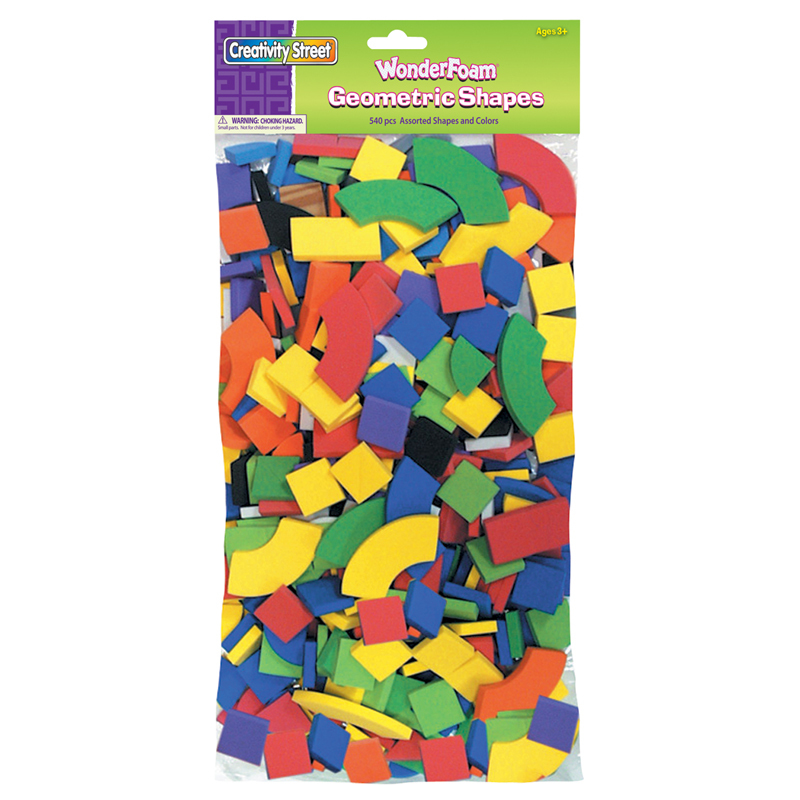 The Wonderfoam Giant Usa Photo Puzzlemap can be found in our Foam product category within the Arts & Crafts. The WonderFoam Giant USA Photo Puzzle Map brings history to life! This beautiful map is chockfull of fun facts, and will pull your kids into history and geography like never before. Take a walk through the American revolution, enjoy the natural beauty of California, or discuss the Battle of Little Big Horn! From American history, to music and geography, this puzzle covers it all. Fifty-seven total puzzle pieces with 50 state pieces (Connecticut and Rhode Island as 1 piece, Michigan in two sections), 5 Great Lakes and 2 interlocking playbars (to attach Alaska and Hawaii). Includes fun facts history and landmark study guide. 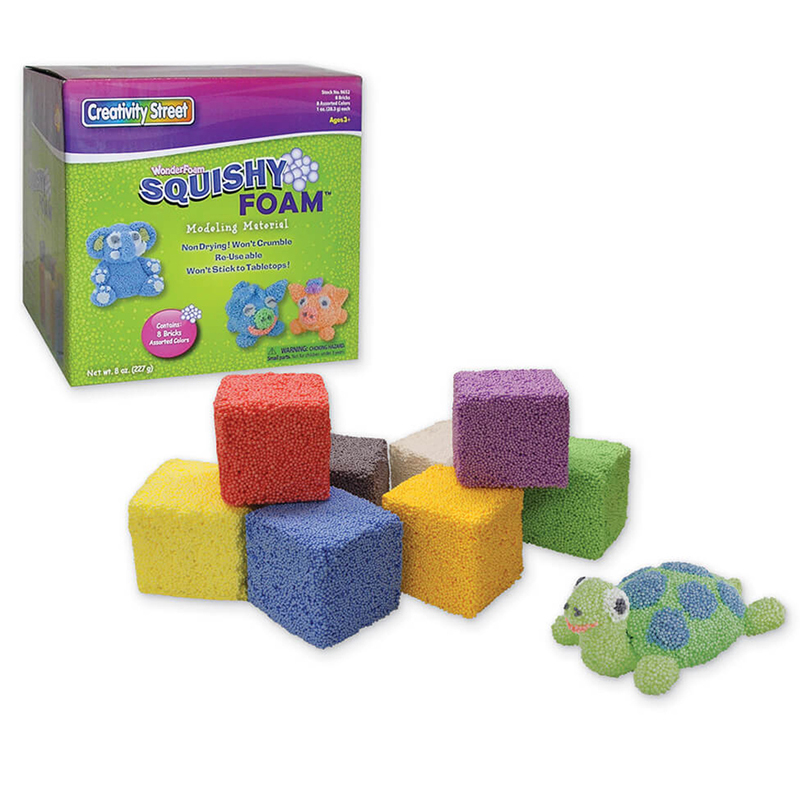 With WonderFoam products, children can learn while letting their imagination shine! 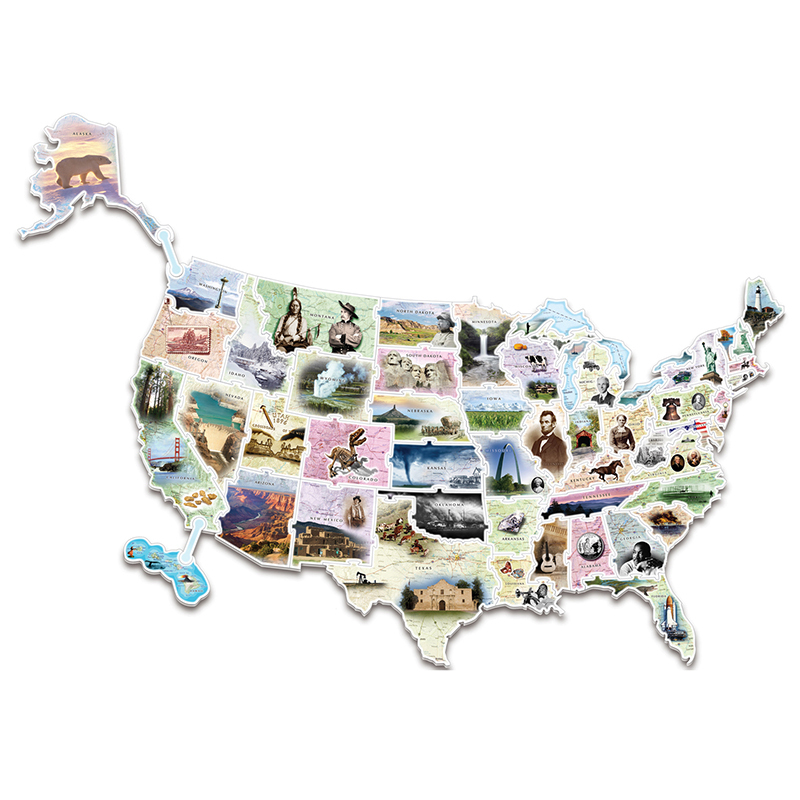 Wonder Foam Giant USA Photo Puzzle Map - This Photo puzzle map brings history to life. This beautiful map is chock full of fun facts and will pull your kids into history and geography like never before. From American history, to music and geography we cover it all. 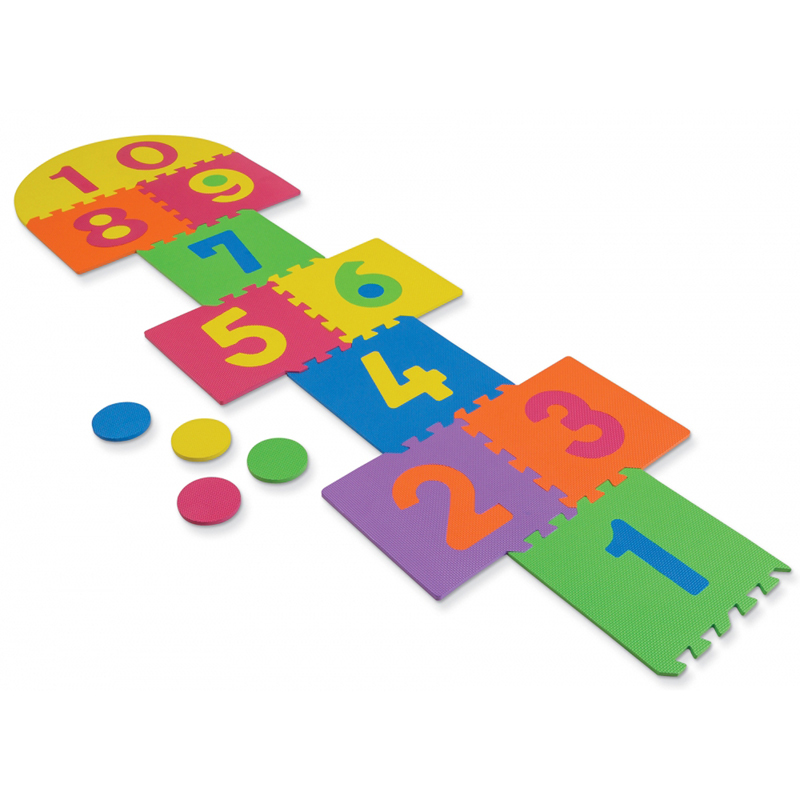 Includes total 57-pieces with fun facts history and landmark study guide.